Instead of trying to make a standard molded rubber part fit, why not create a custom molded rubber product that perfectly conforms to your application design requirements? We specialize in custom molded silicone and custom molded rubber parts made in the USA and China. 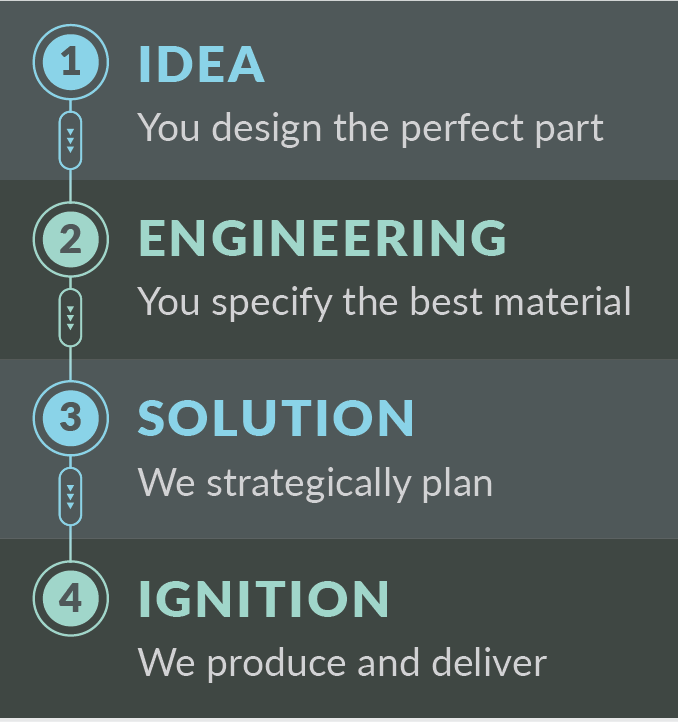 Our team is ready to help take your project from idea to ignition here in the States or Overseas! WesLastomer™ Silicone Molding Compounds - Domestic are a select group of silicone compounds typically reserved for high performance applications. Custom molded silicone parts made from these compounds are molded in the USA within the guidelines of our AS9100 quality system. Our wide selection of economical overseas compounds include Commercial Silicone, High Tear Strength Silicone, Peroxide Cured EPDM, Neoprene, Nitrile, SBR and TPE. The rubber molding compounds are available from 40-70 durometer. Custom molded parts made with a certified A-A-59588 Class 3B Silicone. In some industries, strong flex-fatigue resistance is mission critical. That’s why flex testing is an essential tool for ensuring aerospace and military silicones can meet the A-A-59588 3B specification from the U.S. General Services Administration (GSA). To learn more about our custom molding program contact one of our professionals or send us a drawing. We can create custom molded rubber products that match your exact requirements.